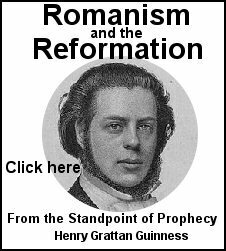 The link to the left on "Romanism and the Reformation" by Henry Grattan Guinness is the most important book, only second to the Bible for the times we live in today. Henry will let history bring you up to date and be able to understand where we are today. 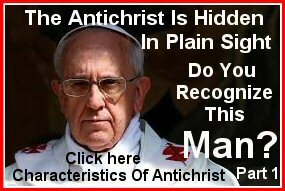 You can download the book on this site and it is read by Tom Freiss of Inquisition Update on First Amendment Radio. My other Broadcast above, thanks for the visit!! We in Germany and no point in time since May 8th 1945...have been fully sovereign anymore ...the politicians refer...to the German basic law ...that doesn't even effectively apply anymore. history...its bread and ciruses...it's shearing the sheep...it's making sure... the Michel stays a sleep. But it still goes on until today, driven by the society of Jesus. The inquisition of the dark ages is luring around the corner and has even started in many places of the world, like Syria and Egypt. More disguised all around the western world it is implemented by, multiculturalism. In Germany now street names and names of places named after Luther are discussed to be changed. 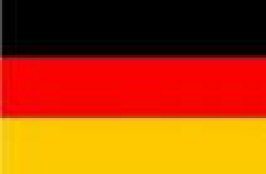 This series is going to explain the 3 Empires (Reich's) that Germany has gone through and how it came to be the so called ‚Federal republic of Germany‘ as we know it today and the impact on the German soul, culture and heritage. Who controls the past, controls the future: who controls the present, controls the past. "History is not history unless it is the truth." Research by the National Association of Scholars (NAS) of U.S. News & World Report's annual listing of "America's Best Colleges" (including both private and public) disclosed startling figures. In 1914, nearly all of these institutions had required courses in English composition; by 1964 the figure was 86%; in 1996, 36%. In 1914, 82% of the best colleges and universities had traditional mathematics requirements; more than 70% of the institutions required at least one course in the natural sciences; that figure fell to 34% in 1996. Literature courses were required at 75% of the institutions in 1914, and at 50% in 1939 and 1964. Today, none of the "best" institutions has a literature requirement. Most colleges today are turning out graduates who have studied little or no history. In 1914, 90% of America's elite colleges required history; in 1939 and 1964 more than 50% did; by 1996 only one of the 50 best schools offered a required history course. The day is approaching, perhaps, when the only historians will be amateurs who study history as self-help, who examine the past in order to make sense of the present and not be caught unprepared by the future. 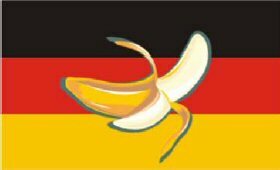 Why the German flag is upside down? 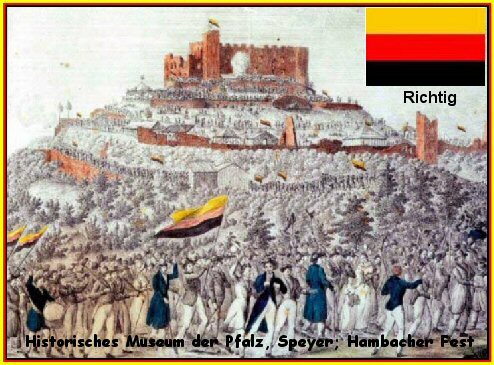 And they wandered from “Neustadt an der Weinstrasse” to the castle of Hambach. Their main demands were the national unity as well as secured basic freedom and citizens rights. The ‘feast from Hambach’ is regarded as the birth hour of basic and human rights on German soil. 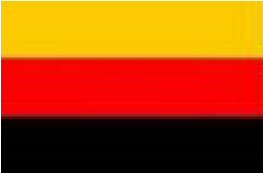 In relation to the idea of having a national state these colors have first been showing up between the years 1815 and 1817, regarding the foundation of the first student fraternity at the university of Jena. Paintings from that time show the colors in this order and not, unlike today, reversed upside down, then changed afterwards.